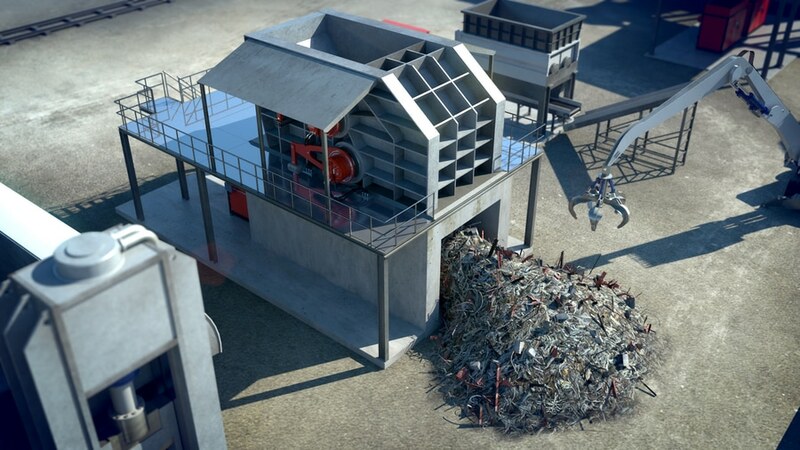 Maintaining stable production and optimizing uptime are both challenges in the recycling industry, where a tough environment and the complex variation of materials place extra demands on equipment. 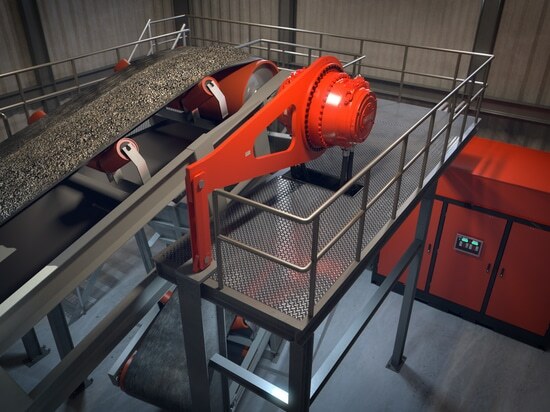 With a hydraulic direct drive system, it is possible to tear, shear and fraction everything from large, bulky items – such as metal scrap or entire cars – to tires, plastics, electrical cables and household garbage. All this can be done without overdimensioning, gearboxes or heavy foundations, and above all without complications. Not only is the drive system insensitive to shock loads and vibrations, it is also flexible in speed, power and direction. A hydraulic direct drive is a closed system with a low-speed hydraulic motor at its heart. The hydraulic motor is mounted directly on the driven shaft using a mechanical shrink-disc coupling or splines. As well as saving time during installation, this flexible mounting has advantages for maintenance. No foundation is required, nor is there a need for a gear reducer, belts, chains or sprockets. Power is supplied to the hydraulic motor by a separate drive unit, which can be positioned almost anywhere in relation to the installation. The drive unit contains at least one standard AC induction motor, which runs at a fixed speed and drives a variable-displacement axial piston pump. In a hydraulic direct drive system, it is the flow of oil from the variable-displacement pump that determines the speed and direction of the drive. Changes in these parameters are made by adjusting the signal to the pump’s control unit. As a result, speed and directional control are not compromised by the limitations of the electric motor, which means the drive can start, stop and reverse as often as required. The responsiveness of the drive ensures smooth operation, which can take place in all four quadrants (driving and braking, forward and reverse) without special accessories. Together with the infinite speed variations allowed by the gearless construction, this makes it possible to fully utilize the drive’s capacity and to adjust its operation to the material being shredded. The torque characteristics of a hydraulic direct drive are unique, and of special interest for shredders. The drive can supply full torque from standstill and throughout its speed range, maintaining it for an unlimited period of time. This has advantages whenever extreme cutting force is needed. The drive’s high starting and running torque allow a shredder to start up in any load condition, but also to continue at high load for extended periods. Since the electric motor is unaffected, no time restriction applies. A further operating advantage of the hydraulic direct drive is its preset pressure-limiting function, which prevents maximum torque from being exceeded by destroking the pump as needed during lengthy acceleration cycles and in overload conditions. Due to the hydraulic motor’s low moment of inertia, the response is almost instantaneous if a sudden stop occurs. This limits strain and wear on a shredder’s teeth and knives, ensuring that availability and reliability remain high – even when processing dense and dirty material. The hydraulic direct drive’s unique characteristics are of benefit not only in operation, but also in maintenance. Low in complexity and possible to mount with splines, the drive experiences less wear on key components as a result of its low moment of inertia. Quite simply, there is far less maintenance to perform. 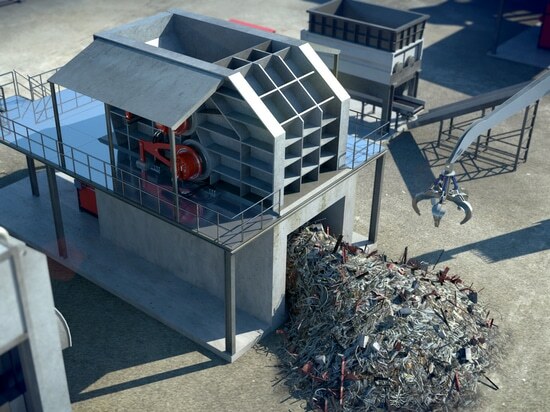 In all respects, the drive is thus an ideal match for shredders in the harsh recycling environment. From its strong capabilities to its reliability and low need of care, the hydraulic direct drive offers performance and peace of mind. Moment of inertia is a critical factor in many applications, especially in those involving shock loads. 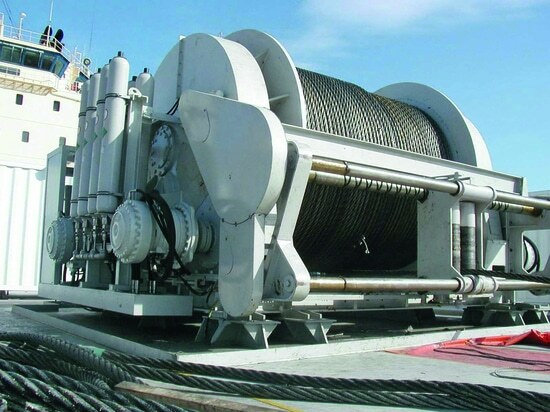 If a sudden stop occurs, the drive’s moment of inertia can place extreme additional torque on the driven machine, straining not only the drive transmission but the shafts, couplings and bearings as well. This stress creates significant wear and tear, with high maintenance costs and reduced productivity as a result. The fact that a hydraulic direct drive has no gear reducer gives it the greatest protection when it comes to shock loads. Its maximum torque can be set at any desired level, thus protecting the drive and the driven machine from shock loads and limiting the stress on machine components, which increases their lifetime and reliability. Why choose low-speed hydraulics for apron and belt feeders? Why choose low-speed hydraulics for apron and belt feeders? 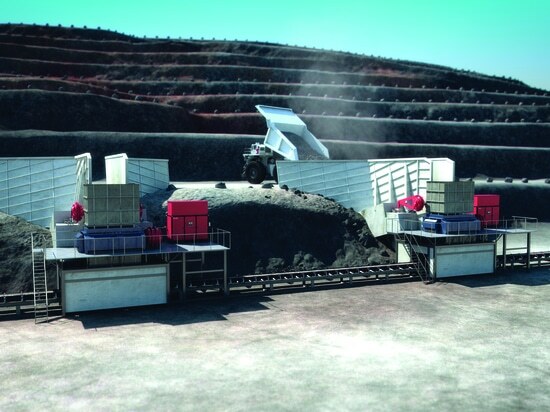 In the continuous operations of the mining and materials handling industry, availability and uptime are of prime importance. This is especially true for conveyors, which are often the only means of transporting materials on site. 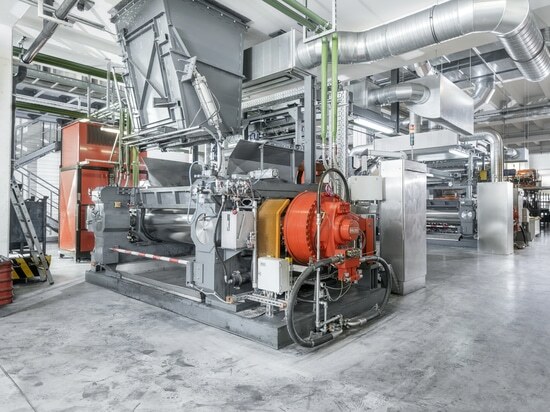 With a capacity of 100,000 metric tons per year PTE is among Germany’s largest rubber compounders. For many years, the company has relied on Hägglunds direct drive systems which have become a valued part of its compounding operations. The Hägglunds CA is a compact hydraulic motor from Bosch Rexroth, combining high power density with high flexibility. Its unique torque characteristics, along with its other advantages, make it the centerpiece of a robust and reliable drive system.